Please check out my store. 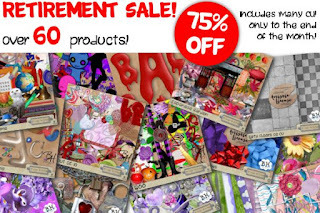 From now until the end of the month you can get a massive 75% off over 60 products including many CU items. Click the image to visit my store. Thanks for looking! Labels: e-Scape & Scrap, Sale! Last Day of Sale and news for April!